Rep. Mike Turner has a few questions for Gruber. Jonathan Gruber testified before the House concerning the bait-and-switch tactic used to pass Obamacare despite the fact that the Administration knew the legislation was a flat out tax. Gruber was a self-dealing architect of that legislation, the passage of which has netted his company millions in compensation. Gruber achieved notoriety by publicly boasting of his deception at the same time he berated Americans as stupid. Turner put on a clinic in witness control, posing 14 yes-no questions to the stunned MIT professor. Each time Turner didn’t get a responsive answer (“yes,” “no,” or “I don’t know”) to one of his questions, he cut Gruber off at the knees and immediately planted another short truncheon into the forehead of the reeling witness. An epic take down. The ashen faces of the panel witnesses at the conclusion of this bloodbath are not to be missed. Excellent, quick update from America’s Newsroom last night on health insurance pricing for 2016 and beyond. Who could have possibly predicted the demise of Obamacare, besides anyone with a functioning cerebral cortex? It was obvious from the start: you will never have enough healthy people sign up to cover the cost of the sick and needy. Everyone knew this, even Jonathan Gruber. Obama’s Jewish Obamacare Death Panel Architect, Jonathan Gruber’s Evil Views About Americans Comes From The Talmud? With his endless purse of money—gotten by sinking the US economy in 2008 and at the same time making billions doing it—to back whatever cause he chooses, Soros has the means to engineer the destinies of entire nations. Indeed, Soros has already implemented his global agenda in both Georgia and Kosovo. 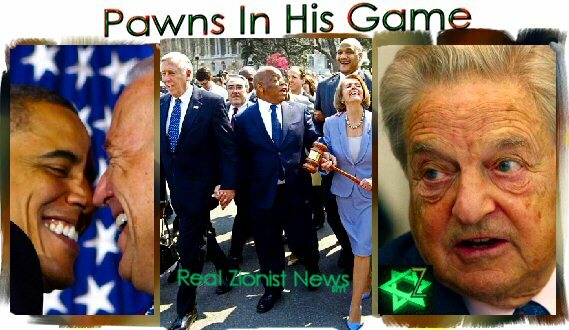 Known as Obama’s “money man,” Soros’ involvement with Obama’s political career began in 2005 with Soros heavily contributing to Obama’s Senatorial campaign and continued through Obama’s 2007 Presidential launch with huge fundraising operations. Soros has also been pouring money into the Democratic Party with the intent of amassing a horde of lawmakers with socialist leanings. WELCOME TO THE WELFARE STATEASSISTED-SUICIDE, EUTHANSIA, & ABORTION SUBSIDIES, being partof Soros’ vision for nationalized medical care, the hedge fund magnate initially plunged $15 million to “overturn the dominance of marketplace values in the practice of medicine.” These are Soros’ exact words when addressing a group of physicians and surgeons during a recent speech at Columbia University. 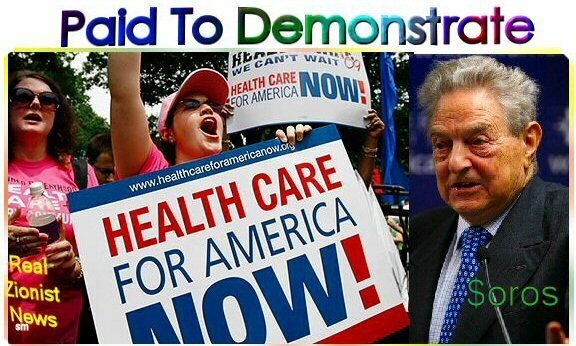 Soros is peddling financial and political influence through the Institute On Medicine As A Profession which he founded in 2003 with a $7.5 million grant from his umbrella group, The Open Society Institute, a leading promoter of health care reform. “There is a clear need for formal regulation of the medical industry whether through state or federal legislative and administrative bodies.” View Entire Story Here. 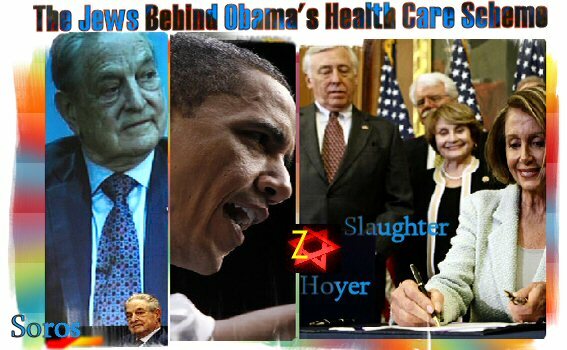 A cast of Jewish medical professionals make up Soros’ Board of Directors and Faculty of his Institute On Medicine As A Profession. Along with President of the Board, Dr David Rothman and his wife, Dr Sheila Rothman, (both of Jewish-owned Columbia University), is Wendy Levinson MD and a sprinkling of Gentile doctors conveniently used as ‘non-Jewish’ window dressing. 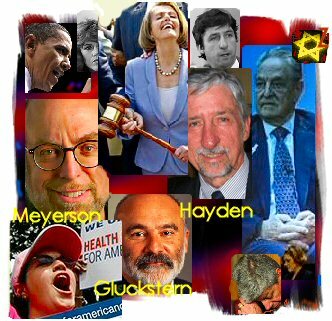 Allied with Soros’s Institute On Medicine As A Profession are two of Soros-funded Jewish organizations that promote “wealth redistribution” of OTHER PEOPLE’S MONEY – not theirs. 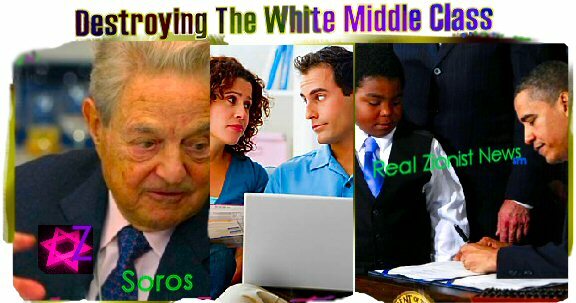 The Center For American Progress and its parent company, The Democratic Alliance, are Soros’ leading vehicles in his drive to drain the white Christian middle class in a Marxist welfare state. RALLIES – BOUGHT & PAID FORDEMONSTATORS IN THE NATION’S CAPITOL supporting Obama’s health care reform plan have failed to capture the enthusiasm of the American people, 60% of which, reject Obama’s scheme to nationalize their medical care. The rallies were organized by Health Care for America Now!, a “national grassroots campaign of more than 1,000 organizations dedicated to the US government’s financing of health coverage for all Americans.” The group is known for its “close ties” to the Obama administration and the Democratic Party. Most of Health Care for America Now!component organizations have two things in common: they have no expertise in health care and are the furthest thing from being a “grassroots campaign” with virtually all receiving large tax-exempt grants from far-left Jewish billionaires George Soros and investment banker mogul, Steve Gluckstern. The leading members of the groups’ “grassroots” steering committee are MoveOn.org, The Center for American Progress, and The Campaign for America’s Future, all created with Soros-money. View More Members Here. The Campaign for America’s Future co-founders include Washington Post columnist Harold Meyerson, sixties agitator Tom Hayden, and socialist feminist Barbara Ehrenreich – ALL Jews. Each year, The Campaign for America’s Future holds a “Take Back America” conference, a gathering of DC “progressives,” (a euphemism for “Marxists”). In 2006, prominent speakers at this conference included Barack Obama, Nancy Pelosi, and Senator Russ Feingold, all socialized medicine advocates at the time. View Entire Story Here, Here, & Here.